This set of three nesting plinths are a really eye-catching display item and are designed to display jewellery, gifts and many other products to their very best. Use them instore, in window displays or on the counter for impulse sales. 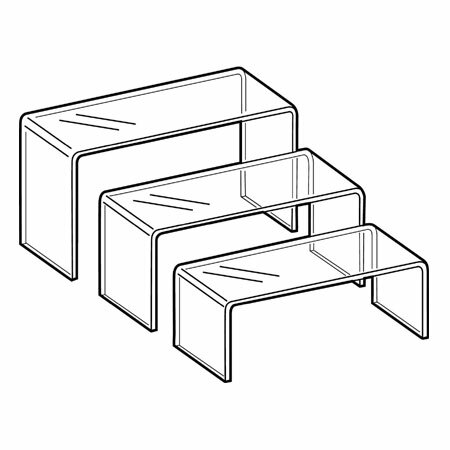 The set of three nesting plinths are made from high impact acrylic so they are built to last and are lightweight and easy to clean.